Our daughter wanted an optical illusion costume. We wanted to do something different than the monster holding the person from the back. We opted to have the monster have the cage on its back. 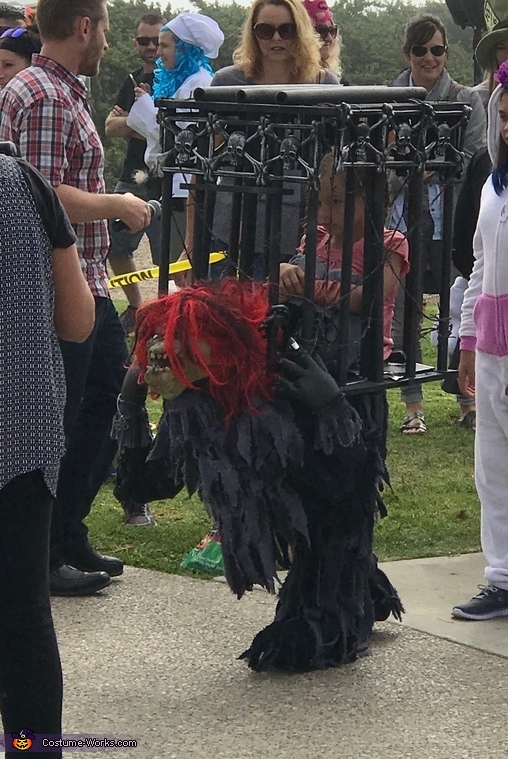 The end result was amazing and several people came up to the monster and asked if the cage and girl were heavy (as they thought it was two people).